If you feel you have a medical problem that needs to be address on the day, please call the surgery on 023 9200 9191 and select Option 1. Ideally, please call before 10.30am, and as early as possible if you/the patient is housebound and will request a home visit. You will be booked in for a call back by the duty team. The team consists of doctors, nurse practitioners and physiotherapists. You may be dealt with over the phone. If they feel an appointment is necessary, the duty team will ensure you see the clinician who is most appropriate for your needs; likely a Nurse Practitioner. Same day appointments are for one medical issue that cannot wait – you will be unable to discuss any non-urgent or ongoing problems. If you are offered an appointment, you will be offered the earliest appointment available. You cannot ask for a specific time. We assume that if it is medically urgent, you are ready to attend straight away, and will not be at work or school etc. We do appreciate you may need time to travel. Register online! 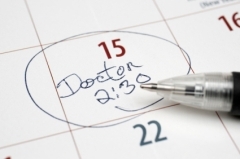 Routine GP appointments can then be booked from 7pm 7 days before appointment date. We are seeking to increase availability of other routine appointments such as blood tests, cervical smears etc. Speak to our reception or call centre teams to get registered. Routine Doctor appointments are released on a rolling daily basis 7 days ahead. For example, if you call on a Tuesday then you will be offered an available appointment for the following Tuesday. Call the surgery at 8am and press option 2, there will possibly be queue of calls, please wait in queue we will get to you as soon as possible. Cosham Park House and Crookhorn Surgery currently offer same day routine appointments, these are bookable only on the day offered, please call at 8am if you would like to book. The doctor will call you back first to discuss and bring you in if necessary. If you do not need to see a Doctor in person, Cosham Park House, Crookhorn and Kingston Crescent Surgeries offer telephone appointments. Please request one of these if you think it would meet your needs, and you are registered at one of these surgeries. If you wish to consult with a particular doctor or clinician, you may have to wait slightly longer for an appointment. Please be aware that when calling to request an urgent appointment you may need to give our call handlers a brief description of the problem so that it can be recorded on a triage list. Phone lines are at their busiest 8am – 10am and 2pm – 3.30pm. Be prepared to wait in a queue. Putting the phone down and trying again will only prolong the amount of time taken to get through. Ensure you have important information (date of birth and phone number) ready to provide to verify your details. Online appointments are released at 7pm daily. We do hold some back for those without internet access, but this is the best time to take a look without having to call in. Our phone lines close at 1pm daily. They reopen at 2pm for afternoon appointments. Only medical emergencies will be dealt with between 1pm and 2pm. Be seen quickly for minor ailments, injuries, dressings, removal of stitches, health care management & family planning. Our specialist nurses run clinics for asthma, COPD, diabetes, heart disease and hypertension with most of them being fully qualified to issue prescriptions. Our HCA's run a variety of clinics including taking blood samples, blood pressure monitoring, electrocardiogram tests (ECG), hearing tests et cetera. Patients should note that, for their protection and better care and for the protection of staff, telephone calls may be recorded. These recordings will be treated confidentially. If you cannot attend an appointment for any reason please inform us as soon as possible in order for us to give the slot to someone else. 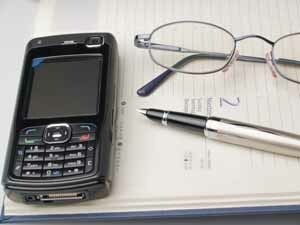 To do this, you can reply with CANCEL to the reminder text message sent to you if you have consented to receive these; phone 02392 009191, select option 3 for general inquiries, then select the relevant option for the surgery where you are normally seen or alternatively you may use our online service SystmOnline. The practice clinicians have a large amount of wasted time due to patients not cancelling their booked appointments. To reduce this, please work with us and notify us if you are unable to attend a previously booked appointment. You need to see the Doctor if the absence is for longer, or if your employer requires a private certificate, for which there is a small charge.